Kayaking remains one of the more enjoyable water activities for Floridians. There’s nothing that quite compares to being out on the water and just “getting away” for an afternoon with friends and family. But if you haven’t been kayaking for some time, you might need a refresher prior to your next trip. Wear the proper attire – This means wearing a bathing suit that fits well. Depending on how long your group plans to be out on the water, it’s also a good idea to consider a light long sleeve shirt to prevent a bad sunburn. Hats are also ideal for a day of kayaking, along with a pair of sunglasses. In terms of footwear, aqua shoes typically work well (we don’t advise wearing your favorite pair of tennis shoes). Lastly, don’t forget about sunscreen! Folks tend to forget that, while in the water, you’re essentially getting reflected sunlight as well as direct sunlight. That’s why it’s important to wear sunscreen with SPF 30 or higher. Remember a lifejacket – Even if you’ve been kayaking hundreds of times, it’s imperative to wear a lifejacket. 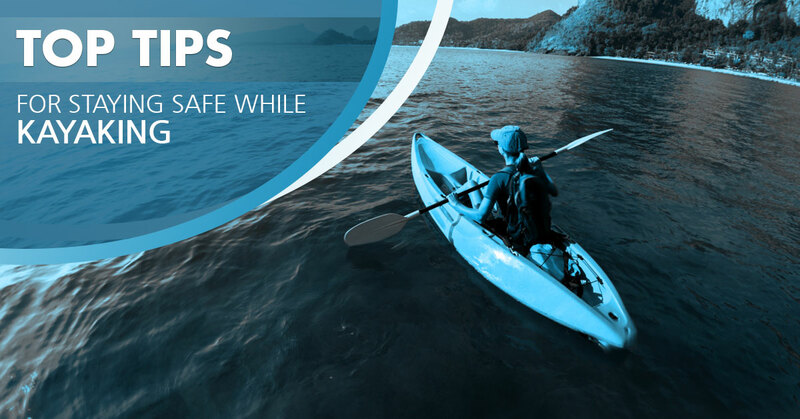 You never know when you’ll find yourself in a compromising situation while kayaking, which is why you need a properly fitted lifejacket to maintain your safety. Keep a close watch – It’s easy to lose sight of your surroundings when kayaking. Keep in mind, though, that you’re the one responsible for keeping watch as to what’s ahead, behind, and to either side of you. Watch out for others vessels, swimmers, and other potential danger at all times. The rules of safe navigation explain that kayakers must also keep out of shipping channels and always navigate on the right side of a river or channel. Be smart about the weather – Some storms can wreak havoc on kayakers, so remember to check an updated forecast before making your way out the door. If the winds are too strong and the waves are too big, it’s probably best to hold off on your kayaking trip for another day. Know your limits – Kayaking makes great exercise in addition to being a fun family activity on a nice day. That being said, remember to paddle within your limits. It’s probably not a good idea for a first-time kayaker to go as far or as long as a veteran kayaker might be able to handle. 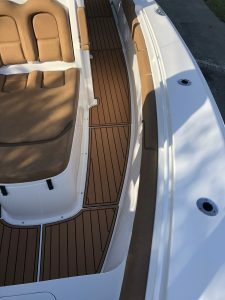 If you want an enjoyable time out on the water, be sure to take into account your craft, experience, as well as the day’s conditions and your skill level. You can think of kayaking like running or hiking. When you feel you’re about halfway tired, turn around so you have enough strength for the return journey. 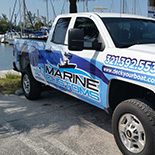 Our team at Marine Customs looks forward to making your next kayaking trip more enjoyable! 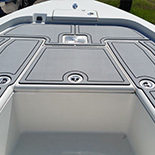 We provide custom marine decking in Melbourne to ensure that extra level of safety. 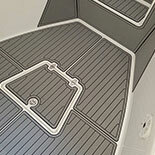 If you’ve been looking for non slip decking and other boat decking options, turn to Marine Customs for all your needs.